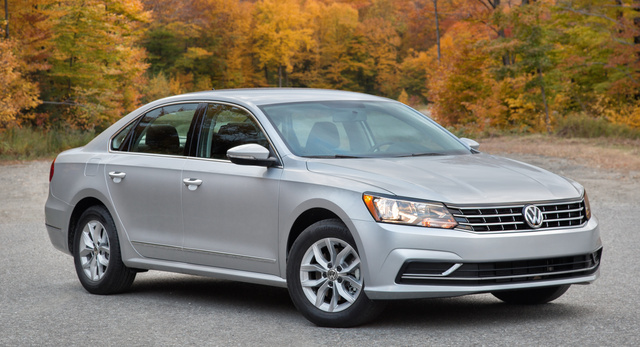 CarGurus has 14,302 nationwide Passat listings starting at $950. Today, within its segment, the Passat outsells only four other models. Having just spent a week driving a 2016 Volkswagen Passat SE, all I can say is this: That’s messed up, y’all. Volkswagen is fighting an uphill battle with the unpopular Passat. J.D. Power says the top reasons people buy a specific car are reliability, styling, previous experience with a brand, and the reputation of a brand or model. Average reliability predictions, conservative styling, and “Dieselgate” do the Passat no favors, but car buyers who look beyond the surface will find what appears to be an excellent midsize family sedan. Shortly after the Arab Oil Embargo of 1973, my father traded his chrome-encrusted, gas-guzzling Pontiac Catalina for a Volkswagen Beetle. Waiting in line for gas must have been brutal, because aside from that ’74 Sun Bug and a couple of Saabs, the guy has almost exclusively driven enormous cars with creased fenders and shiny brightwork. Americans like big. Big houses. Big burgers. Big Gulps. We think it's better to have something and not need it than to need something and not have it. We like to tell people to go big or go home, like doing anything less is un-American. When Volkswagen redesigned the Passat for the 2012 model year, moving production to a brand-new, state-of-the-art factory in Chattanooga, Tennessee, one that added thousands of jobs to that local economy, the company thought it would have a certain hit. Volkswagen went big with that new Passat, and didn’t go home, creating a new family sedan built specifically for Americans, by Americans. The plan didn’t work. Today, within its segment, the Passat outsells only the Buick Regal, Mazda Mazda6, Nissan Maxima, and Subaru Legacy. Having just spent a week driving a 2016 Volkswagen Passat SE, all I can say is this: That’s messed up, y’all. Serving as the popular choice in the Passat lineup, the SE delivers style, sensibility, safety, efficiency, and value at $27,100. That price includes the destination charge of $820. You can get a more affordable model, the Passat S, for $23,260, or you can get a fully equipped model, the Passat SEL Premium V6, for $37,655. Notably, Volkswagen, like most purveyors of midsize family sedans, is offering a new sport-themed R-Line version of the 2016 Passat. Personally, I’d want the spiffy looking R-Line, which has dark gray 19-inch wheels, subtle styling changes, and a remarkably affordable price. Too bad Volkswagen won’t let me specify it with cloth seats, the top infotainment system, and the key safety technologies that I consider absolutely necessary in any family car. Finding a Passat that you’d want to buy is challenging. Volkswagen simplifies possible combinations to make the car easier and cheaper to build, but the result is a company-focused rather than a customer-focused approach. 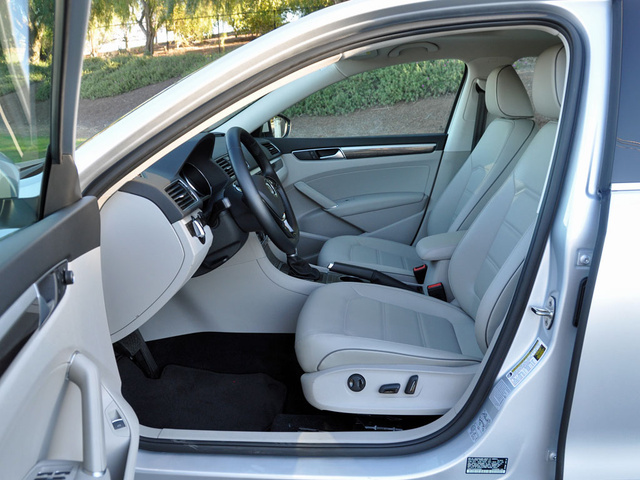 For example, the R-Line is available with a Comfort Package, but it includes leatherette seating, which traps sweat on hot summer days, which is the opposite of comfortable. Also, you can’t get the R-Line with forward-collision warning, automatic emergency braking, or a blind-spot warning system. This is relevant, because the R-Line looks cool. My Passat SE test car, on the other hand, painted Reflex Silver and equipped with Moonrock Gray leatherette seats, is about as nondescript as it gets, despite its new styling. Volkswagen redesigned the front and rear ends of the 2016 Passat, though it’s hard to tell unless you’re intimately familiar with the previous version. Tasteful, conservative, attractive, and inoffensively timeless, nothing about the Passat’s design is off-putting, dramatic, or disharmonious. It will age exceptionally well, but it's also as plain as vanilla ice cream. Just remember: that’s America’s favorite flavor. Volkswagen also updated the 2016 Passat’s interior. Again, you’d need to know the old car to spot the changes. The dashboard and steering wheel, trim panels resembling trendy gray wood laminate, and instrumentation are new, as well as piano black trim around the center controls and additional chrome accents to dress up the cabin. I give Volkswagen bonus points for the fabric-wrapped windshield pillars, soft-touch upper door panel and dashboard materials, and 2-tone cabin treatment with gray or beige colors. With those colors, though, the headliner ought to be black for an even more upscale look and feel. Summing up, the Volkswagen Passat is not as glamorous as an Audi, but it's also not as cheap looking as a typical Jetta. In other words, the Passat is just right. 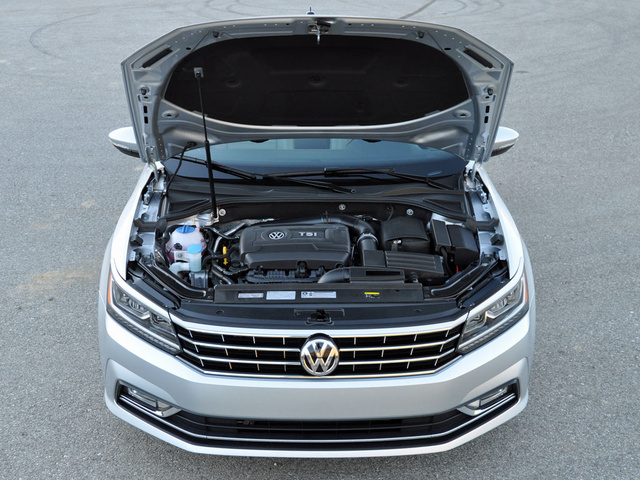 With Volkswagen’s turbodiesel engine shelved for the time being and the Passat’s optional V6 engine offered only for the top SEL Premium trim, the majority of cars in dealer stock are equipped with the standard turbocharged 1.8-liter 4-cylinder engine. Nobody knows turbocharging like Volkswagen. Power measures 170 hp at 4,800 rpm, and the engine’s 184 lb-ft of torque kicks in at 1,500 rpm. Obviously, revving this engine isn’t necessary, especially because the torque floods the powerband all the way up to where peak horsepower kicks in. Put plainly, the Passat feels more powerful than the numbers on the specification chart suggest. Regular gas is recommended for this engine, not premium which is typical of turbocharged powerplants. 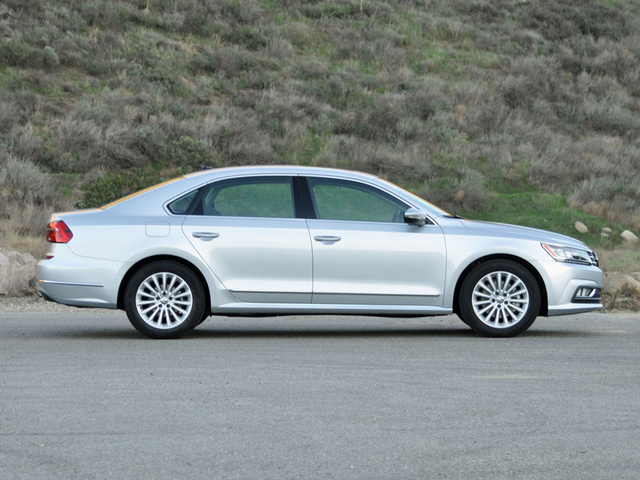 The EPA says the Passat will get 29 mpg in combined driving. On my test loop, the Passat returned 29.7 mpg, so consider the minor updates that Volkswagen made this year in order to improve fuel efficiency a success. Responsive and quick, the Passat accelerates effortlessly even if this car isn’t outright fast. The 6-speed automatic transmission upshifts rapidly and smoothly under light throttle in order to maximize mileage, but this trait isn’t aggravating because of the engine’s robust torque curve. German engineering is evident in the Passat’s driving character. Light, accurate steering and excellent roll control make pitching the Passat down a twisty road or around city corners a confidence-inspiring joy, and the car is securely connected to the road when roaring down the freeway. When slogging through traffic, the brake pedal occasionally feels a little sticky and inconsistent, but otherwise this is an engaging if not thrilling car to drive. Unexpectedly, the Passat’s suspension is just as soft as Cottonelle and as absorbent as Bounty. This car wafts down the road and glides over crappy pavement, soaking up the bad stuff while communicating the good stuff. It’s like a BMW and a Buick hooked up after closing time, and the result was a miracle instead of a travesty. Draw an imaginary line around the center of the Passat interior’s perimeter. Above that line, the materials impress. Below that line, they do not. If you’re wondering how the Passat can sell at a low price, this is one reason why. Volkswagen’s approach, by the way, is not much different from how other car companies outfit their interiors, and in some ways the Passat’s hard plastic finishes are superior to those of other midsize sedans. However, I think VW buyers are expecting more, a cut-rate Audi instead of a Camry competitor. Some people might also find the Passat’s interior dated, because the company uses knobs, buttons, and relatively small touchscreen displays instead of modern, touch-sensing nonsense. Obviously, I prefer VW’s simple and sensible control layout to what I’ve found in some of the Passat’s competitors. My wife pointed out how much she liked the radio’s tuning knob, which allowed her to surf stations to see what was playing without changing to that station. When she found something she liked, she pushed the tuning knob to choose it. I’d always thought of this requirement as an irritant, because I change stations only when the current one plays a commercial or something I don’t want to hear. Now I see this design in a different light. Dual-zone automatic climate control is standard for all Passats. Cloth seats are included in S and R-Line models, leatherette is standard for the SE, and leather is fitted to the SEL and SEL Premium. For rear air vents, a feature my kids need on 90-degree days, you need to upgrade to the Passat SE at a minimum. This means you can’t get cloth seats and rear air vents, which is ridiculous. Why do I want cloth seats? Leatherette does not breathe well on warm days, the Passat is not offered with ventilated leather seats, and I don’t like to get out of a car sweaty and wrinkled, though my wife would sarcastically conjecture that this is usually unavoidable. My test car’s driver’s seat supplied 8-way power adjustment, including lumbar support. Comfort is adequate, and could be improved with 10-way power adjustment to allow for separate cushion positioning. The front passenger’s seat came with manual adjustment, including for height. Between the front seats, a padded center console armrest slides forward and back, but is not height adjustable as in the smaller Volkswagen Jetta. Rear-seat accommodations are excellent. 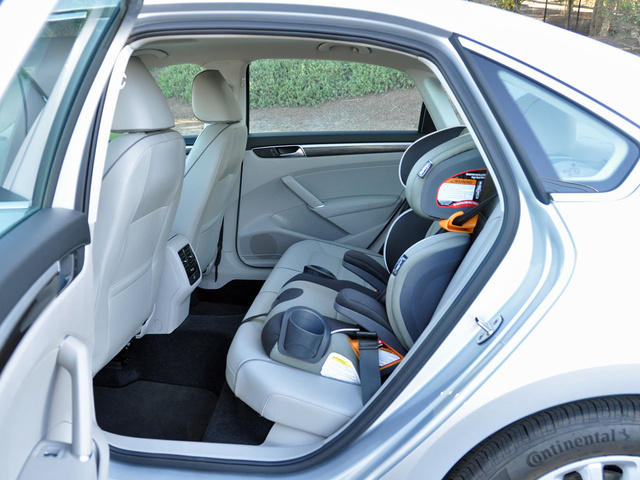 The seat is very comfortable, and legroom is so generous that the Passat might as well be a full-size sedan. Got kids? Mine couldn’t kick the front seatbacks, which are soft and padded just in case you’re stuffing NBA players into this car. Plus, those rear air vents (remember, only on the SE and up) made my kids happy during unseasonably warm 90-degree temperatures in the Los Angeles area. Offering 15.9 cubic feet of cargo space, the Passat has one of the largest trunks in its class, and the space is shaped for easy packing. Pop the lid using the key fob, and the trunk swings wide open, which isn’t always the case with the competition. A new hands-free opener is available for some trim levels, and all Passats have hand grips on the inside of the lid to make it easy to close without getting your hands dirty. For 2016, a new family of infotainment systems debuts for the Passat, each equipped with Bluetooth calling and music streaming, a USB port, and touchscreen displays. Unfortunately, the screens are just too small, starting at 5 inches across for the S and R-Line trim levels and switching to 6.3 inches across for SE, SEL, and SEL Premium models. My test car’s larger 6.3-inch screen featured a capacitive touch display with proximity sensing, satellite radio, and App-Connect technology that supplies Apple CarPlay, Android Auto, and MirrorLink smartphone projection capability. Connect a smartphone via the USB port, and the Passat’s infotainment display turns into a version of the smartphone, making it easier to make and receive calls, compose and receive text messages, play music, and access specifically supported applications. Pairing an iPhone to the Bluetooth connection was not as easy as in some vehicles, and using Apple CarPlay takes some practice before it becomes second nature. It frustrated me on several occasions, especially during our video shoot when trying to demonstrate the voice texting feature. With that said, I think smartphone projection technology is a helpful step forward even if it doesn’t actually eliminate the problem of driver distraction. Car-Net subscription service is also available with the 6.3-inch infotainment system. With an active subscription, feature highlights include the ability to find the car via your smartphone, set vehicle-speed and geographic-boundary alerts, remotely lock the doors, access real-time traffic information, and make an emergency assistance call. Car-Net also provides automatic collision notification, which contacts authorities following a collision, even if you can’t move or talk. A navigation system is included with the SE Technology Package and for the SEL and SEL Premium models. Those two top trims also have a Fender premium sound system. Choose the SEL Premium for front and rear parking sensors and a Parking Steering Assistant system that can steer the Passat into parallel and perpendicular parking spaces while the driver works the brakes and transmission. Wisely, Volkswagen modified the Passat’s underlying front structure for 2016, with the goal of earning a Top Safety Pick crash-test rating from the Insurance Institute for Highway Safety. The company succeeded, and in SE, SEL, and SEL Premium trim, this car also meets Top Safety Pick+ standards because of its forward-collision warning and automatic emergency braking systems. The Passat also gets a 5-star overall crash-test rating from the federal government. Another change for 2016 is a standard Automatic Post-Collision Braking system. Following an initial collision impact, the brakes automatically engage in order to stop the car as quickly as possible. The idea is to reduce or eliminate the potential for a secondary collision with another vehicle or object. A reversing camera is standard for the 2016 Passat, and in addition to the new forward-collision warning and automatic emergency braking systems, the Passat SE can be optioned with a blind-spot warning system with lane-change alert and rear cross-traffic alert (standard for the SEL and SEL Premium). This technology also includes automatic reverse braking, so that if the driver ignores the rear cross-traffic warning, the Passat will brake anyway in order to avoid a collision. Adaptive cruise control is also standard for the Passat SE trim and higher, but it is not a stop-and-go system. The SEL Premium model includes an active version of the blind-spot warning technology that will attempt to prevent an ill-advised lane change, as well as a lane-departure warning system with lane-keeping assist. While it might be a valid criticism to say that Volkswagen offers little in the way of choice when selecting a Passat, when it comes to the car’s safety features it certainly appears that the company has taken a thoughtful approach to packaging. If only some of these goodies could be installed on the Passat R-Line, eh? Research cost-of-ownership data and reliability ratings for the Volkswagen Passat, and you won’t be impressed by what you find. Given how important such factors are to midsize family sedan buyers, I’m not surprised that Volkswagen sells fewer Passats than it would like. I don’t own a Passat. I can’t speak to real-world experiences with this car over longer periods of time. Based on a one-week loan, 400 miles of family-shuttling duty, and an industry-insider understanding of how modern reliability ratings often have little to do with mechanical reliability, I’m tempted to recommend this car as a great value in spite of reported evidence to the contrary. Starting with reliability, Consumer Reports estimates the Passat will prove average in this regard. Know why? Since 2012, when this car was last redesigned and assembly moved from Germany to Tennessee, people have consistently complained about the infotainment systems – but very little else. Mechanically, since 2012, the Passat has earned mostly high marks from owners. Let’s talk value. I got 29.7 mpg on my test loop, and during our video shoot, which involves lots of engine idling, lots of mountain driving, and lots of 3-point turns followed by hard acceleration in order to drive back and forth in front of the camera, the car got 24.8 mpg. This is a big car. It feels effortlessly powerful. Yet it gets terrific gas mileage. In 2015, the average American spent more than $33,000 on a new car. A Passat SEL Premium with every factory upgrade is just over $35,000. As this review is written, Volkswagen is offering a rebate of $1,000, zero-interest financing for 60 months, and sweet lease deals that allow 12,000 miles per year of driving. The average American can easily afford a Passat. Look, I’m not sitting here in front of reams of data in order to make objective conclusions about this Volkswagen based on what happened in the past, but it seems to me that the Passat offers excellent value, especially after applying discounts and in consideration of its fuel efficiency. So what’s the problem here, aside from potentially inaccurate perceptions about reliability and value? I’d say very little. And I’m pretty sure that my dad, now in his late 70s and driving a trouble-free 2014 Volkswagen Jetta that he adores, would absolutely love this enormous, sharply creased, and chrome-accented 2016 Passat. 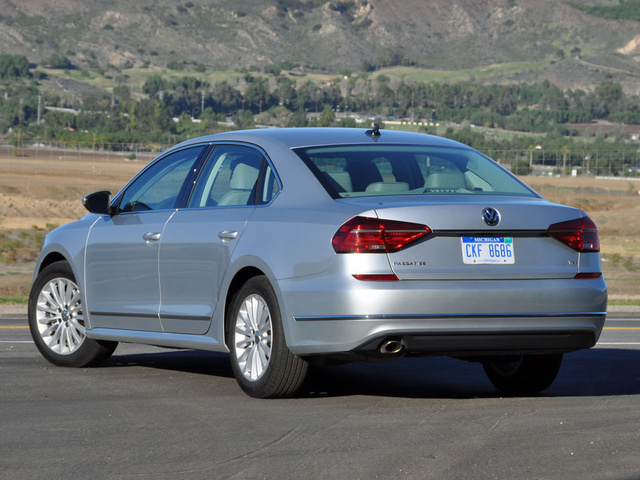 What's your take on the 2016 Volkswagen Passat? leobj I bought brand new 2016 Passat 1.8, The floor mounted gas pedal giving me leg pain. yahooganesh I have been shopping for this car, but it look like this car is not over looked as I have called multiple VW dealership in LA and none are even giving me the time of day to return a price. I feel like the car industry is changing in way of car sales now a days. You should do a video on car buying process in Los Angeles and how to get a deal. AZgermancarlover My wife and I just traded our 2014 Ford Explorer Limited and purchased a Passat R-Line (Blue) to save money overall. We were spending far too much money in gas for hauling two toddlers around roughly 80+ miles per day. We made the change to the Passat R-line and LOVE it! Even though we gave up mostly tech features that are not vital to our daily commute, we gained in overall gas efficiency and power since the Explorer was a gutless wonder! I have a motorsport race modified Audi S4 for my weekend racing so the weekday comfort of the Passat is perfect for us! J.R. When VW bought back my 2014 Jetta Sportwagen TDI I was able to buy a 2017 Passat SE with Technology Package straight across. I cross shopped the Accord Touring V6, Accord Touring Hybrid, Lexus IS 250, Lexus ES 350 and Mazda 6 Grand Touring before deciding to stay with VW and switch to the Passat. Why'd I do it? Dieselgate has VW new vehicle prices in the US deeply depressed. I received a $1000 loyalty bonus and negotiated a $25k purchase price (before tax, license and doc fees) so $24k plus TLD fees. I had zero troubles with my diesel in 36k miles and zero trouble with my prior 2010 GTI which I traded for the diesel at 65k miles, so VW's reliability reputation wasn't a concern. And for 2017 VW continued to refine the Passat. The SE with Tech for 2017 switched to the 18" Chattanooga alloys (rather than the 17" Knoxvilles used on the 2016). The low res, pixelated information display between the gauges in the 2016 SE is gone and now the SEs feature the same multi-color modern MID used in 2016 on the SEL Premiums. The SE with Tech now adds heated rear seats and a kick under bumper hands free trunk opening feature, and LED head and tail lamps as standard (in addition to the other Tech package features like Nav). Of the other vehicles I tested, only the IS 250 and Mazda 6 handled better and neither rode as nicely. The IS was harsh and the Mazda was very noisy (tire and road noise). I liked the grunt of the Accord's V6, hated the Hybrid Accord's brakes, felt the Mazda was very underpowered, the IS a little underpowered and the ES dreadfully boring and too expensive for what it was - a gussied up Avalon/Camry. In short the Passat (especially the SE w/ Tech) offered compelling value and independent of price a compelling combination of performance, comfort, quiet, convenience and age-resistant styling (simple, a bit bland, but in 6 years the Mazda, IS and Accords will all look dated and cheesy; the Passat is simple enough to look timely much like the last 3 generations of Audi designs. 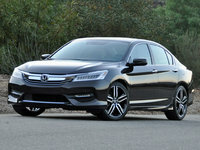 It is the best kept secret in mid-sized mid-market sedans. And that's a shame. Users ranked 2016 Volkswagen Passat against other cars which they drove/owned. Each ranking was based on 9 categories. Here is the summary of top rankings. 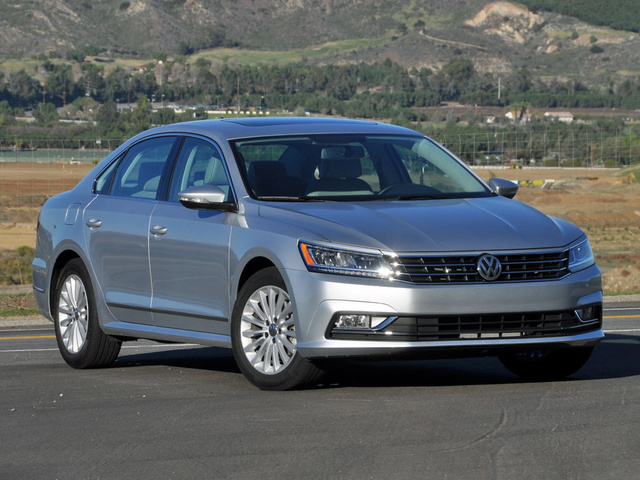 Have you driven a 2016 Volkswagen Passat? Would like a diagram of dash showing what each knob is for, etc. Do I need to do anytrhing if oil temperature light is at 192 ?